Say what you will about American TV structure vs. our brethren across the pond, but when it comes to the big time shows you usually know what and when you are getting them. One of the biggest shows on BBC is, of course, Doctor Who and up until now we have only had a vague sense of when it was returning. It was announced that the seventh season premiere will air on Saturday September 1st. As of now this is only official for the BBC broadcast, but starting last year the show aired day and date with BBC America, and there is no indication that will change now. The seventh season begins with a five episode run before it fractures around Christmas, allowing the second half to play out in 2013. You can check out the other two after the jump. The Jurassic Park franchise is one of cinema history’s biggest disappointments. The original was a revelation and a generation defining experience. The sequels were both less than noble efforts to recapture the essence of what we loved in the first film. Both, while ok in their own ways, were resounding Jurassic Park failures. So the idea of going back to the island has always remained a possibility. 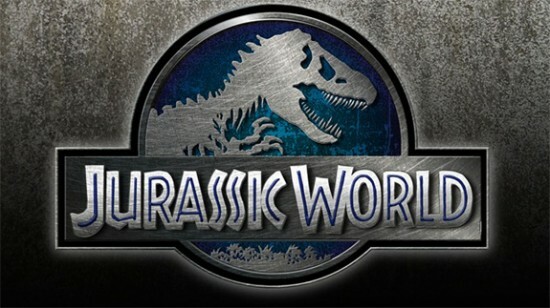 There is so much more world to explore in the series, and even a couple misfire sequels can’t taint the thirst we all collectively have for more Jurassic Park. “I would say that it will be on the screen within two years” Marshall went on to reveal that they’re aiming for a summer release since it’s a “popcorn movie,” and confirmed that it’s definitely a sequel and not a reboot or remake. Yes, thank you Mr. Marshall. Describing Jurassic Park 4 as a summer ‘popcorn’ movie is the best bit of news regarding the potential sequel we have yet heard. The original worked precisely because it was a ‘popcorn’ movie. Broad strokes painted with exquisite digital detail. Weather or not we do indeed get a sequel by Summer 2014 remains to be seen, but knowing that the powers behind the film have the right mindset for the project, and the eagerness to get it made sooner rather than later is great news. For Last Week’s Fan Film Friday, click here. In honor of this week’s episode of The Flickcast (aptly named after the sequel to 1993’s Jurrasic Park), I thought we could keep with our dinosaur theme of the week. There is plenty of intellectual comedy on the ‘net, so it’s nice when something like this comes along to break the mold and still warrants a chuckle or two. Take a look at what would happen if the Jurrasic Park dinosaurs didn’t roar, but rather yelled “HEYYYY!”. It’s only about 90 seconds, but you may want to watch it multiple times. Enjoy.